"the town of 2000 motel rooms"
from two Indian lovers, Tocom and Kari, who died tragic deaths. 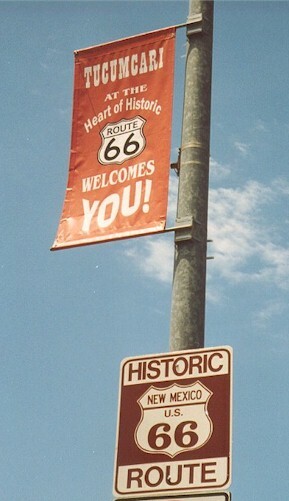 Left: Signs on Route 66 in Tucumcari. 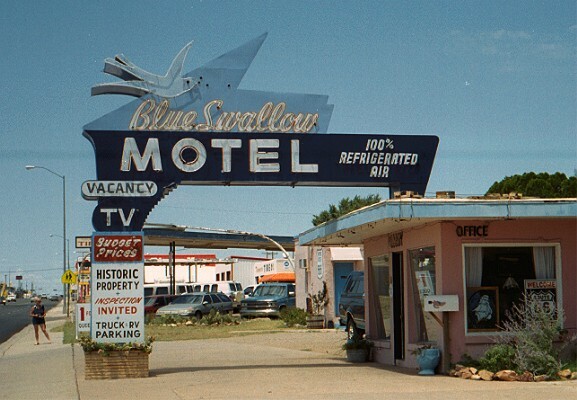 Below: The famous Blue Swallow motel - still in business. Spanish town first settled in 1865. Even now, most of the population are of Spanish decent. 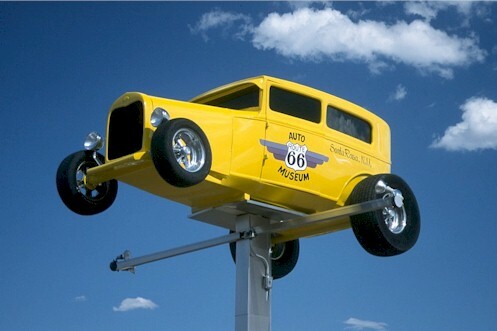 the museum, right on Route 66. It's about 20 feet up in the air! buy any one of them! 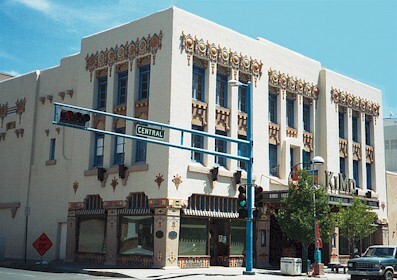 Santa Fe was founded in 1610 as the capital of the Spanish colony of New Mexico. Mexico, including New Mexico won independence from Spain in 1821. By 1846, the USA was at war with Mexico. New Mexico was invaded by the USA, and declared a US possession, becoming a US territory in 1850, and a state in 1912. 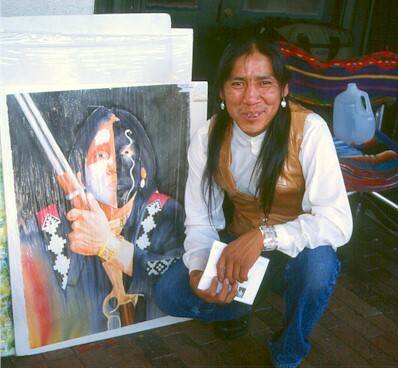 Today, New Mexico, and especially Santa Fe, is an exciting mix of Native American and Hispanic cultures, with art in all its forms, an essential element of that culture. 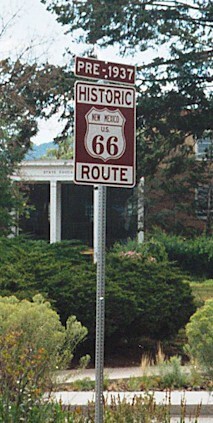 Santa Fe was on the original alignment of Route 66 until 1937. After that, a new stretch of Route 66 opened, connecting Santa Rosa directly to Albuquerque, now covered over by Interstate 40.
have to be native Americans. 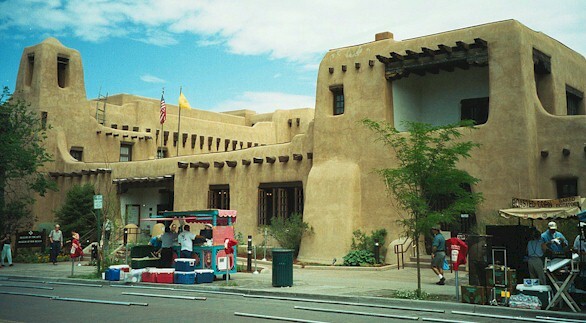 All buildings in Santa Fe have to be constructed in Adobe style, by decree. 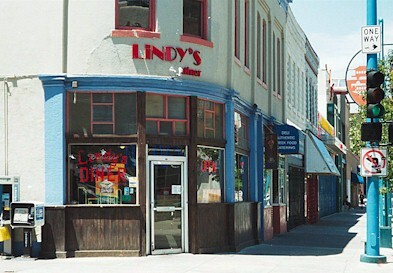 Established in 1706, and named after the 8th Duke of Albuquerque and Viceroy of New Spain. 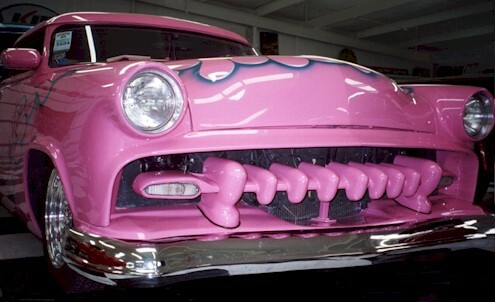 The city is the largest on Route 66 between Oklahoma City and Los Angeles. 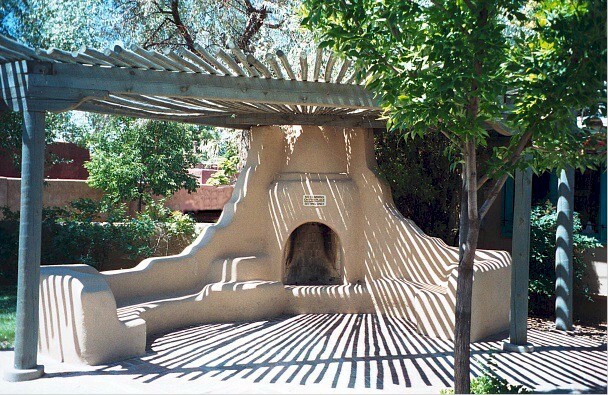 Adobe "Fireplace" in Albuquerque old town.